Recently I have really been trying to clean up my eating. I did that crazy thing that people do, and starting watch all the food documentaries on Netflix and immediately started to make some changes. The only hard part was that I had just purchased a 1/4 beef from a local farmer, that now resides in my freezer. As you now, red meat is very taboo in the world of healthy eating, but I have found a few recipes using it that are simple, quick, and inexpensive. Take my Korean Beef Rice Bowls for example. To begin you will to start your rice. Simple cook according to the directions on the box. I used Brown rice for this dish so it took about 30 minutes. Next place a deep skillet over high heat. Break the ground beef into the pan. Let it cook until it is no longer pink. 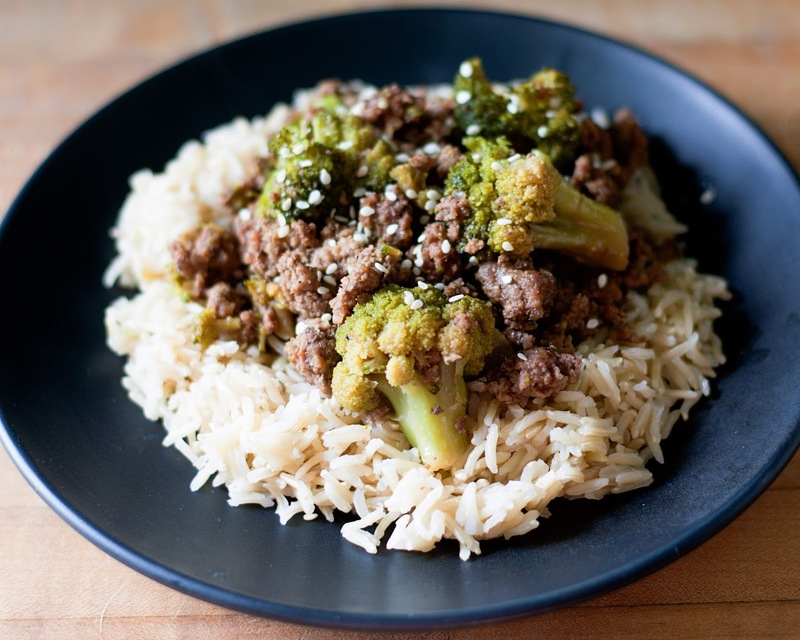 While the ground beef is browning, you can combine the soy sauce, scallions, garlic, ginger, stevia (or brown sugar), sesame oil, and chili flakes in a small mixing bowl and mix together. When the ground beef is nearly finished cooking all the way through, add the broccoli florets. Pour the soy sauce mixture over everything, and make sure to toss it all together until everything is coated. Lower the heat to medium/high, cover, and cook for 10 minutes. And there you have it! Your Easy Korean Rice Bowls are ready to assemble. 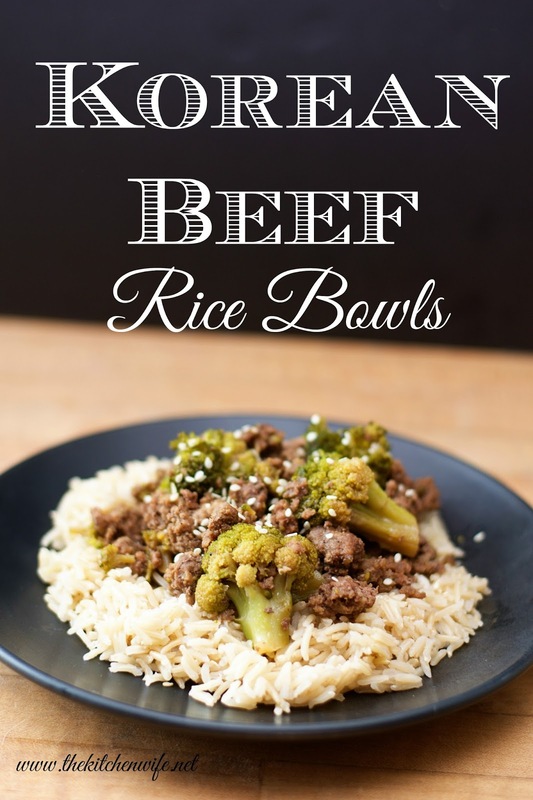 I lay out my bed of rice and scoop the Korean Beef over the rice and sprinkle some sesame seeds on top of it. If you wanted to make this low carb, you can serve it over a bed of cauliflower rice which is equally delicious. This dish has roughly 400 calories, 9g of fat 3 from saturated fat, 47g of carbohydrates, 4g of fiber, and 30g of protein. If you use the brown sugar there will be 7g of sugar. So see, a great healthy meal you can feed your family using inexpensive ground beef! I know you are going to love this one so get in the kitchen and make it TONIGHT! To begin you will need to prepare your rice according to the directions on the box. Next place a deep skillet over high heat. Break the ground beef into the pan and season it with salt and pepper. Cook until it brown and no longer pink.